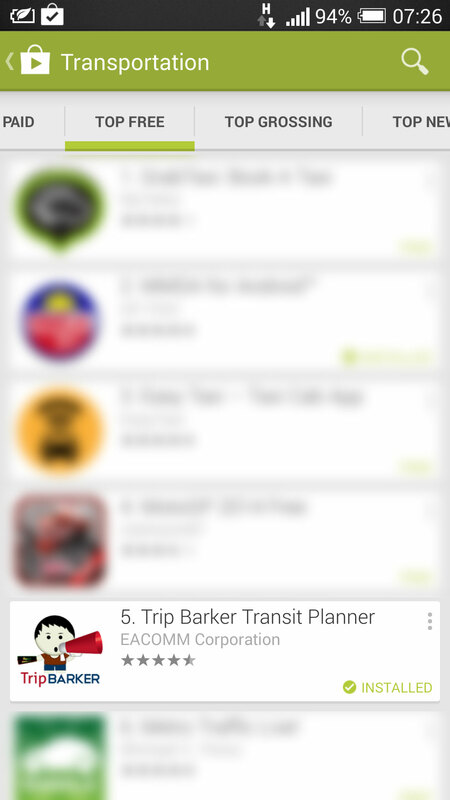 In just over a month from our Beta Release, it was a pleasant surprise to see Trip Barker among the top free transportation apps in the Google Play Store! Our sincerest gratitude to all your support and please encourage all your friends to join Trip Barker! Download the Trip Barker Android App Today! Tagged mass transit philippines, top transport app philippines, transit app, transit app philippines, transit philippines, transit planner, transit planner philippines, transit planning philippines, transport planner, transportation apps philipines, transportation philippines. Bookmark the permalink.